Radon is a radioactive gas that you can’t see, smell or taste, however it may be a problem at home. It cames from the soil and it moved up from the ground through cracks and other openings in the foundation. 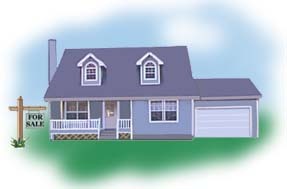 Any home, old and new may have a radon problem. According to the Florida Department of Health, elevated indoor levels are seen as the second leading cause of lung cancer. Where would you find Radon in Polk County? Uranium is mixed with the abundant deposits of phosphate in the ground, therefore it can be found on Land that has been mined for phosphate or land containing phosphate rock that was never mined. It can also be found from land containing fill dirt brought in from the mined or mineralized areas. How can you find out if Radon is in your home? The Environmental Protection Agency (EPA) recommends that all homes should be tested for radon. If you are considering buying a home, you should test it before making a decision. It is inexpensive and you can do it yourself. The Polk County Health Department has Radon test kits available for approximately $15,00 at their office in Winter Haven, FL. If you would like someone else to do the testing, contact the Health Department for an additional cost.